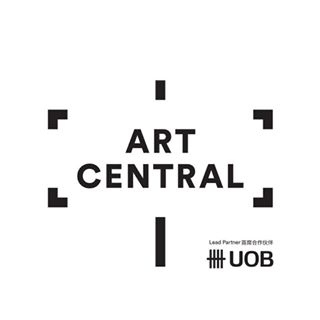 UNIX Gallery is excited to announce its participation in Art Central 2019 at booth E04, held at Hong Kong’s Central Harborfront from March 27 - 31, 2019. The gallery is presenting a carefully curated show including new works by Justin Bower, William Bradley, Ellen de Meijer, Josh Rowell, and Llewellyn Xavier. Exhibiting paintings, sculpture, and innovative mixed media artwork UNIX Gallery commits to the highest standards of connoisseurship and professionalism within the evolving contemporary art market. William Bradley’s work begins with abstract gestural watercolors, which are then manipulated into a calculated arrangement. These resolved designs are then repainted in oil on canvas. His work UNIX Gallery Art Central - Hong Kong March 27 - March 31, 2019 Justin Bower Untitled II Oil on canvas, 84 x 72 in | 213 x 183 cm, 2018 can be described as “abstract art about abstract art” with an underlying concept that explores the communicative disconnect between artist and viewer that is specific to the pure abstract language. Josh Rowell examines the role that the digital world is playing in reshaping our current notion of ‘reality’. Rowell finds different ways to manifest these changes, constantly exploring the space between the real and the virtual, fascinated by the way in which these two worlds interact. Rowell highlights the fact that the digital world is like all things temporal and still answerable to the physical world. UNIX Gallery is open Tuesday through Saturday, 10:00 AM - 6:00 PM. For more information or further inquires please contact Andrew Cole at andrew@unixgallery.com or by phone at 212-209-1572.